In Pakistan, Illegal Kidney Trade Flourishes As Victims Await Justice : Parallels Sophisticated criminals prey on the poor, luring them with false promises of lucrative jobs before depriving them of their organs. The "kidney mafias" benefit from powerful political connections. 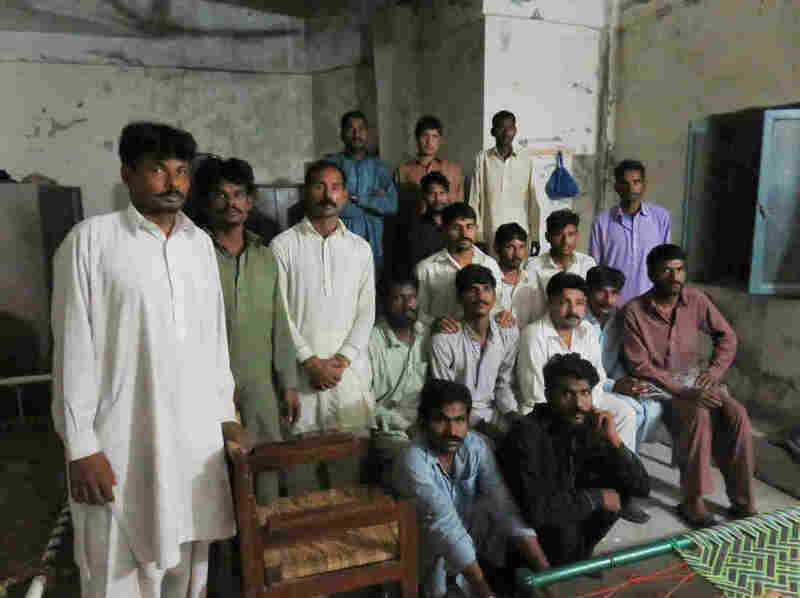 Some of the men imprisoned by a criminal gang in Pakistan's illicit kidney trade return to the apartment in Rawalpindi where they were held by force. Aizaz Azam is a young police detective in Pakistan whose brief career has been devoted to busting minor prostitution and gambling rackets and sorting out street brawls. Now, though, he's slogging away for up to 20 hours a day, working his first major case. It involves a crime so ruthless that Azam says he and his fellow cops feel "strangely unsettled in our souls." They are pursuing a group of wealthy surgeons and their network of agents who lured impoverished and illiterate Pakistanis from the countryside and imprisoned them for weeks with the intention of removing one of their kidneys in order to sell these for huge profits. "There's a lot of crime everywhere, no matter where you are. But taking away someone's kidneys? That's very disturbing," says Azam, 28. He says some of these prisoners told him they'd been held there for four months. The doors were locked; the windows had bars. Prowling the streets below were "look-outs" making sure no one escaped, says Azam. Destitute Pakistanis have for years been selling their kidneys in an effort to pay off loan sharks or buy their way out of bonded labor, a form of slavery that has existed in South Asia for centuries. These "donors" are usually paid at most several thousand dollars, a tiny fraction of the six-figure sums or more paid to the surgeons by the recipients, including rich, foreign "transplant tourists." 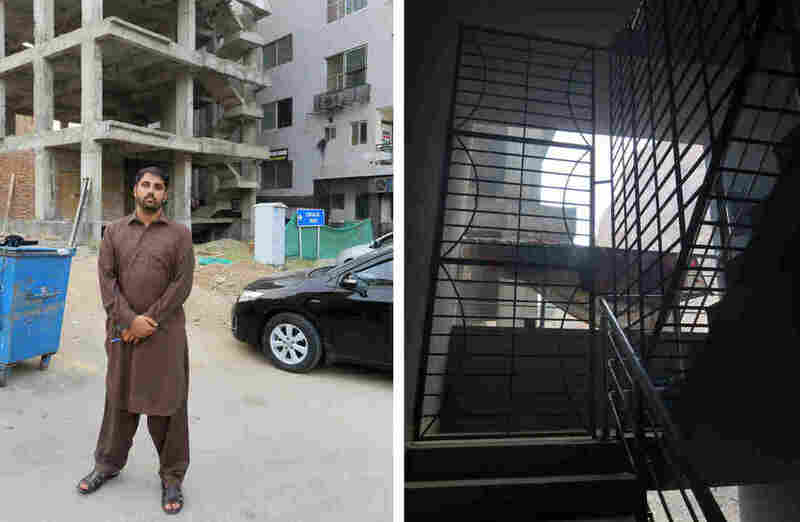 Police detective Aizaz Azam (left) stands outside the apartment block where 24 impoverished Pakistanis were imprisoned by a kidney trafficking gang. Barred windows on stairs leading to the apartment kept prisoners from escaping. Numbers dropped substantially after 2010, when Pakistan's government passed a law criminalizing the buying and selling of kidneys for transplant. But, with a worldwide shortage of organs for donation, the "kidney mafias" appear to be flourishing anew. "With the relaxation in enforcement, the wide boys, the fly-boys, the get-rich-quick boys, have got back in there and have continued to prey — particularly in Pakistan — on the indentured workers," says Dr. Jeremy Chapman, an Australian professor of renal medicine and prominent campaigner against organ trafficking. Azam's case is unusual because, he says, most of the 24 prisoners in the apartment had no desire to sell a kidney, and no idea when they arrived in Rawalpindi that their captors planned to bamboozle them into doing so. "This is the first time the police have got onto this," says Dr. Mirza Naqi Zafar of the Sindh Institute of Urology and Transplantation, which has won worldwide acclaim for offering free, "ethical" organ transplants. "This is something new, that people have been kidnapped and forced to stay in a place like Rawalpindi, and made to give kidneys at a very small price." The motive for the crime? "Money and riches," says the doctor. There's a saying in medical circles in Pakistan: You want to know if a surgeon's involved in the illegal organ transplant trade? Just count the engines on his private jet. 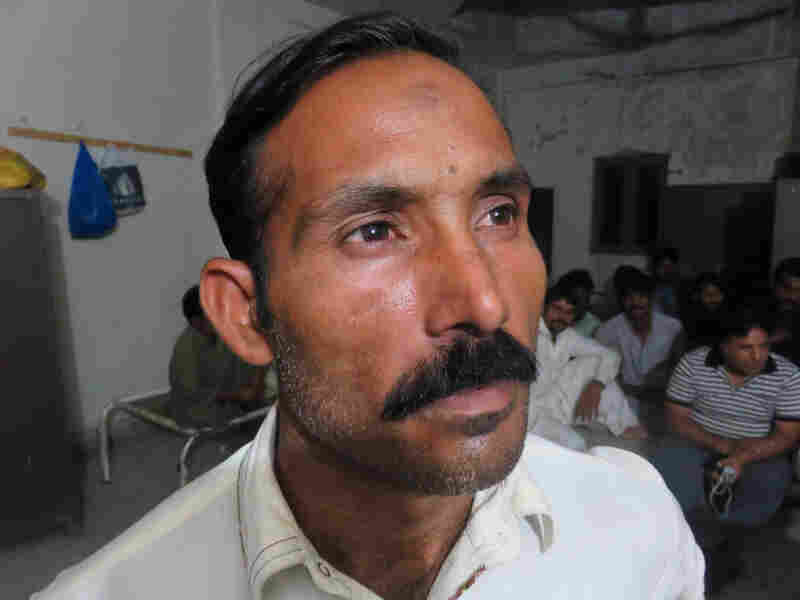 Saddi Ahmed spent four weeks locked in the Rawalpindi apartment. He says his fellow prisoners spent much of their time weeping. Disoriented and far from home, they were too frightened to resist their captors, who told them the Taliban were outside and might attack if they made any noise. Ahmed says they were also worried that they were somehow complicit in the crime and, being poor and powerless, would wind up being punished for illegally selling their kidneys if they complained. There is a particular reason for this. "They implicated us," says Ahmed. Ahmed, 39, is a casual laborer in the building trade. He has four kids between the ages of eight and 15. In a good week, he earns the equivalent of $27. Sometimes there's no work at all. He says he was hanging around the railway station in the city of Lahore, feeling "helpless and jobless," when a fat, friendly man "with a very sweet tongue" accosted him. Over a cup of tea, the man offered him a full-time job for $335 a month with a new company in Rawalpindi, 220 miles away. The man, a covert recruiting agent for the kidney mafia, set one condition, Ahmed says. Ahmed must go with him to Lahore's law courts to sign some travel documents — a "passport" which, according to the man, would enable Ahmed to go by bus to Rawalpindi without being stopped at police checkpoints. Saddi Ahmed spent four weeks locked in the Rawalpindi apartment. "I told the people in the room, I've been brought here for work. The agents said they had a business. The people said, 'There's no such business. They take away your kidneys here.'" The following day, Ahmed says he met the man in the precincts of the courts, where hundreds of lawyers have desks, for what was in reality an entirely fake legal hearing. The man insisted that Ahmed agree to be filmed, using a mobile phone — saying this was only to enable him to travel. He was ordered to state on-camera that he was going to Rawalpindi to donate a kidney to a relative. Ahmed did so. "I asked him, 'What's a kidney got to do with getting a job?'" Ahmed recalls. "He said, 'We're just recording this statement so that you won't be stopped by the police. We won't actually take your kidney.'" When he arrived in Rawalpindi, Ahmed says he was met by a gang member, driven to the apartment block and escorted to the upper floor, where he found several dozen other people. As the door locked behind him, he realized he'd been duped: "That's when I got frightened. I said to myself, something's wrong. I've been cheated. "I told the people in the room, I've been brought here for work; the agents said they had a business. The people said, 'There's no such business. They take away your kidneys here.'" He repeatedly begged his captors to set him free: "I would entreat them, saying I have small kids and that if my kidney is taken out, I will be useless for whole of my life." For Ahmed, the police raid came just in time. The cops arrived at around 2 a.m. He says he was due to be taken to a clinic to have his kidney removed just a couple of hours later. Four alleged gang members are now behind bars, accused of abduction and imprisoning people. Aizaz Azam, the detective, says prosecutors also plan to bring charges over the fake legal proceedings. Police say they're searching for four medical doctors, believed to be key players. The number of victims isn't clear. One of the accused estimates more than 400 people were imprisoned in the apartment at various times, says Azam. Ahmed says the prisoners were told they'd be paid $2,800 for their organs; it's not clear if the victims ever received this. Nor is clear for whom their kidneys were to be transplanted. According to Global Financial Integrity, a U.S.-based research organization that analyzes illicit financial flows, organ trafficking is among the world's top 10 most profitable crimes, with an estimated annual worth of up to $1.2 billion. Data on this clandestine international racket is sparse and unreliable. Before outlawing organ trafficking in 2010, Pakistan was believed to be the third most popular destination for "transplant tourists," according to local medics and media reports. Evidence suggests the largest number of patients came from Southeast Asia, but the U.S., U.K. and Saudi Arabia were high on the list. Pressure is mounting in Pakistan to further tighten its laws. Its Supreme Court has taken up the issue at the urging of the head of the Sindh Institute of Urology and Transplantation, where Dr Mirza Naqi Zafar works. "I think this raid we've seen in Rawalpindi is the follow-up from that," he says. But Pakistan's kidney mafias are known to have powerful political connections and enormous financial resources that they're willing to use to bribe their way out of trouble. 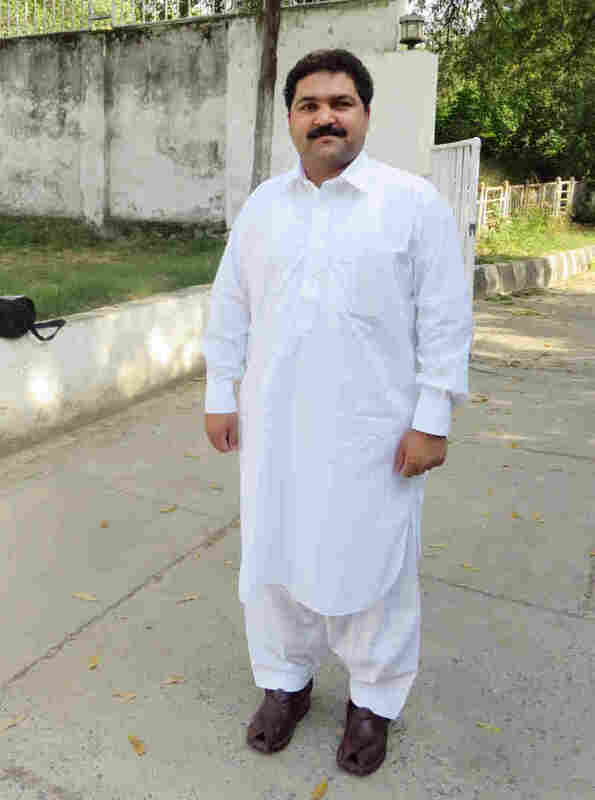 Babar Nawaz Khan, chairman of Pakistan's parliamentary committee on human rights, is trying to strengthen punishment for organ traffickers, who have tried to bribe him to stop his efforts. This was recently made graphically clear to Babar Nawaz Khan, chairman of Pakistan's parliamentary committee on human rights. Khan is lobbying for a list of reforms, including life imprisonment for illicit organ trading, health checks for foreigners seeking Pakistani visas and a nationwide organ donor program linked to ID cards. He shows NPR texts on his mobile phone, saying they're from the kidney mafia urging him to halt his campaign. He keeps them in a file labeled "Offer." "They offered me 100 million," says Khan. He was so disgusted he didn't bother to ask the currency. In dollars, that's nearly $1 million. He says while out shopping in the market, he was also accosted by a mysterious man making the same offer. "I said to him, 'You're lucky you're talking to me in a public place, where I cannot hit you,'" Khan says. At 30, Khan is Pakistan's youngest parliamentarian. He and his family know the dangers of public life in Pakistan. His father, a former government minister, was murdered in 2008. Yet Khan says he intends to persevere until Pakistan's poor and uneducated are no longer vulnerable to human predators using power, money and deception to acquire their victims' only assets — their body parts.